Our law firm has extensive experience assisting clients with the various legal issues that arise from the task of doing business on a day to day business as a business law attorney. Our business counsel representatives work with sole proprietors, partners, and corporations, both large and small, in order to affect better business practices throughout the business lifecycle. The services we provide include drafting and/or reviewing business contracts, dealing with acquisitions, handling corporate reorganizations, and even the sale of your business. Our firm is one of buthe only legal services that provides a comprehensive suite of legal solutions to business owners from all industries. We can provide legal assistance with a wide variety of elements within a company including traditional legal roles such as drafting, reviewing and negotiating various contracts as well as analyzing tax scenarios and providing legal guidance in financial affairs and accounting practices. This is because we have several business tax professionals on staff that provides qualified legal and accounting services under a fixed fee structure. Our goal as a business law attorney, when reviewing your business affairs, is to sync all of the matters in which we have jurisdiction, in order to minimize your management costs and decrease your legal exposure as it relates to state and federal taxes as well as potential legal action. 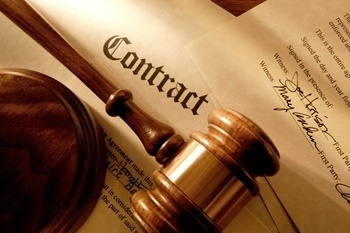 We strive to always provide you with quality legal services that provide value to your company. In order to keep in line with this philosophy, we always provide review and proposals to you at no cost or obligation. Our Business Counsel team’s areas of practice range from simple business structure guidance and setup including legal partnerships, LLCs and corporations as well as business trusts, to more complex business needs including corporate restructuring and reorganization, acquisitions and more. All of the members of our Business Counsel team have experience in various disciplines within the business culture including local, state, and federal laws governing LLCs, LLPs, and corporations, tax laws, securities laws, franchise laws, and more. They also have experience with litigation concerning each of these disciplines. As a business law attorney, we provide legal support to individuals or companies looking to purchase or sell a business, reorganize a business, or establish a joint venture between interested parties. We can also provide financial advice including analyzing hedge funds, private equity sales, and private financing and roll up transactions. We will analyze your current situation as well as the direction you want to take your business in order to help you make the most beneficial decisions for your company.